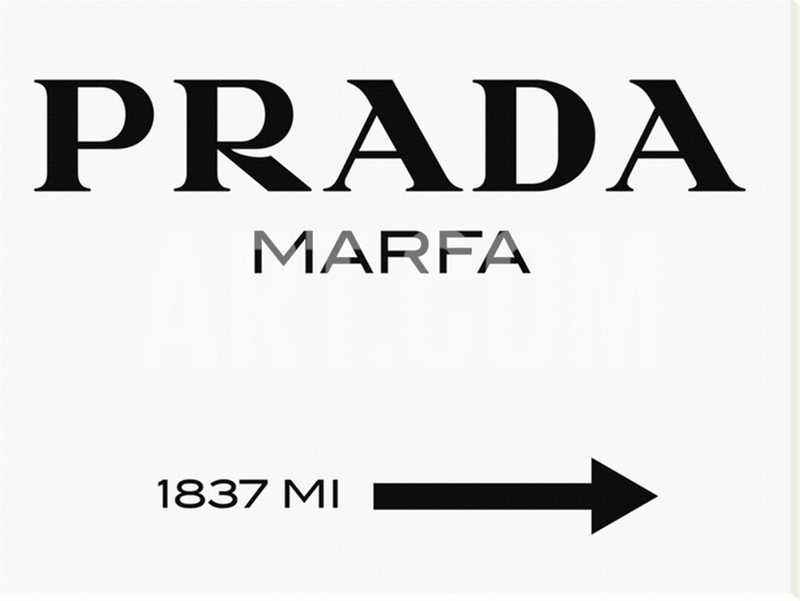 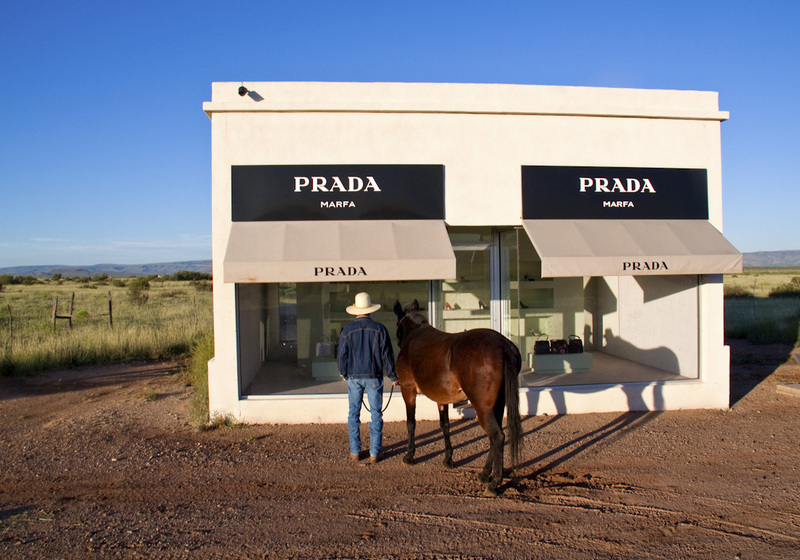 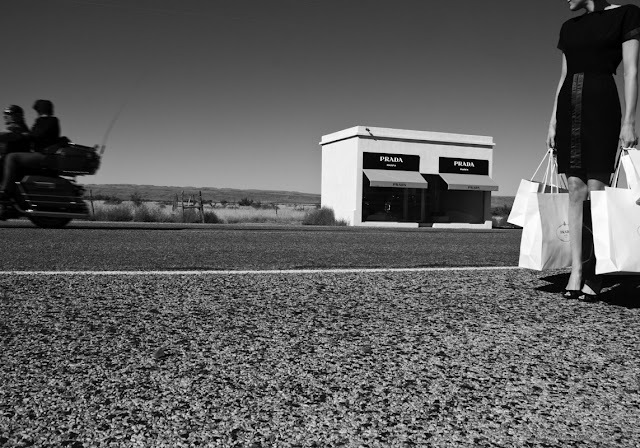 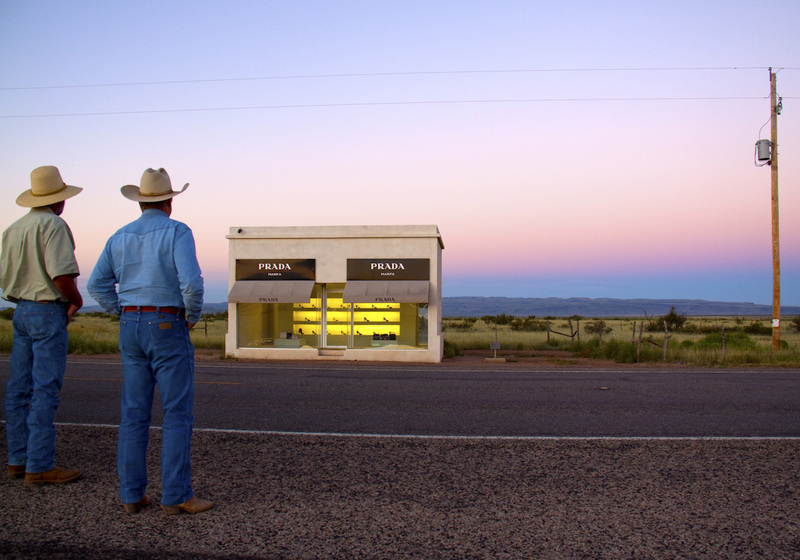 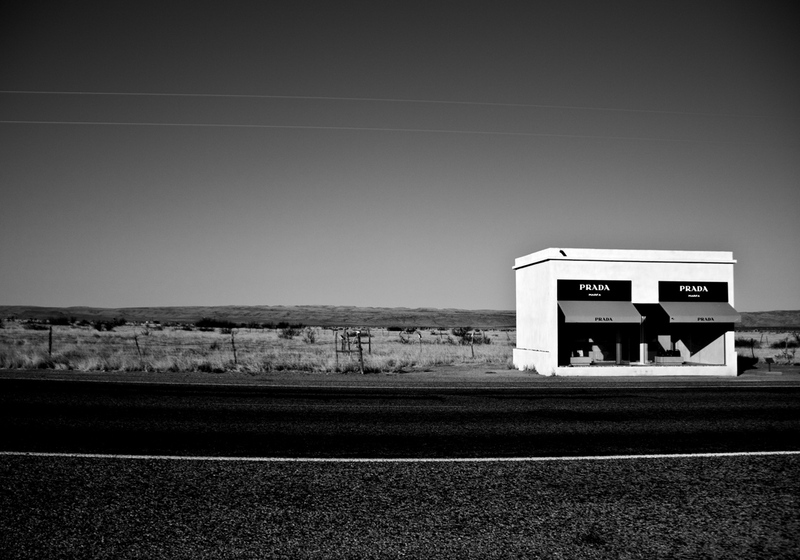 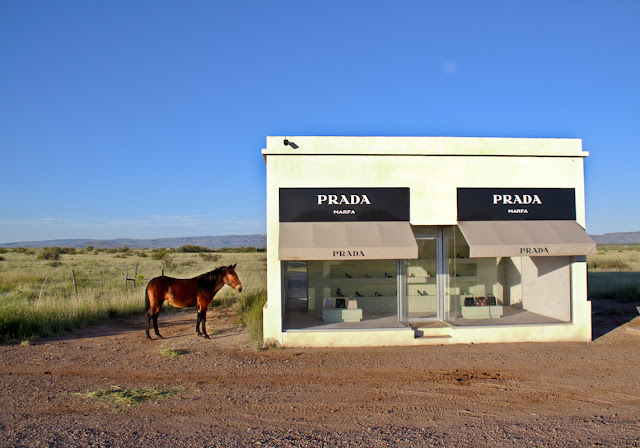 Prada Marfa is an art installation and also the exact replica of a Prada store in Marfa, Texas. 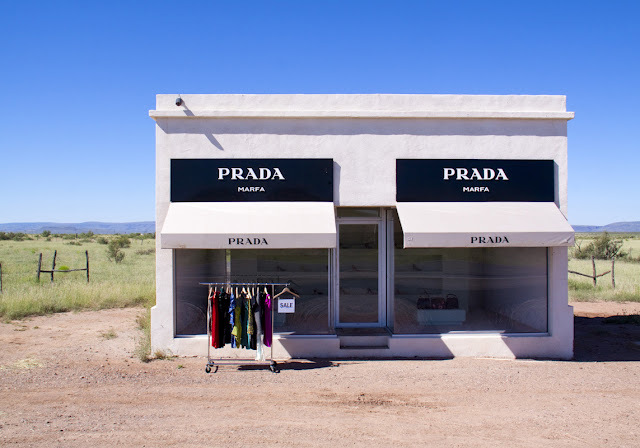 Inside, like museum pieces displayed against a perfect white backdrop, are Prada heels and bags. 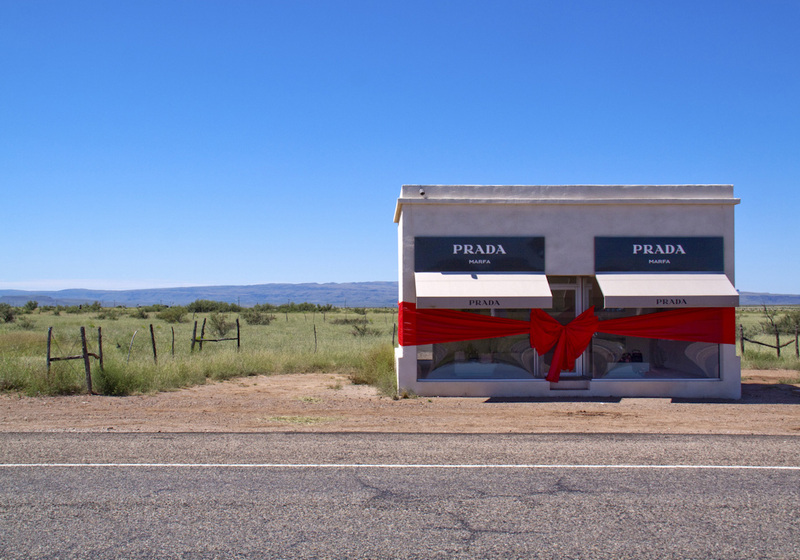 The sculpture will never function as a place of commerce, the door cannot be opened,’ says the plaque beside the installation, just in case you were wondering. The place is firmly sealed so you could never get inside. 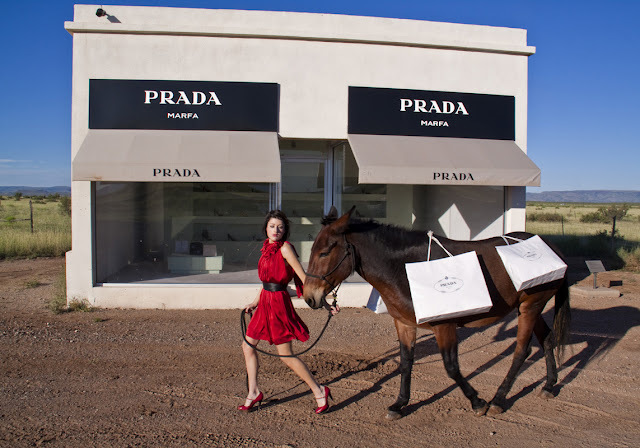 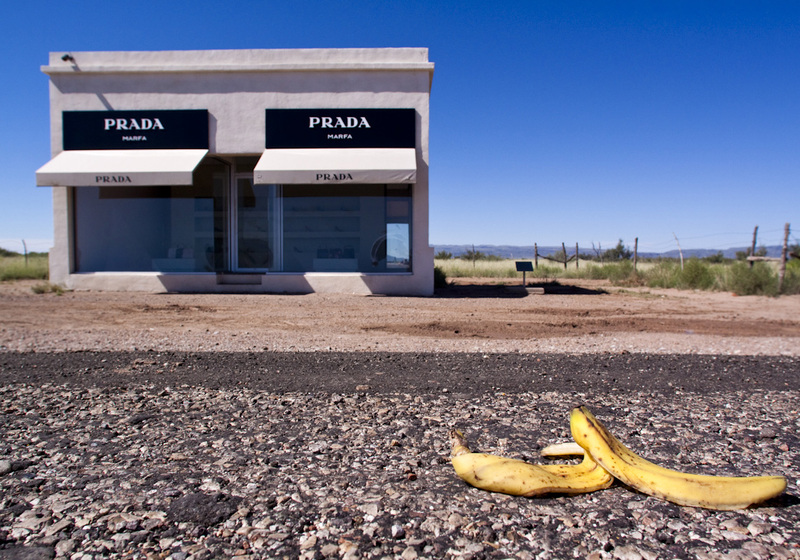 Marfa, a famous arts town located in West Texas, is home to many intriguing artistic endeavors; most notably a Prada store art installation. 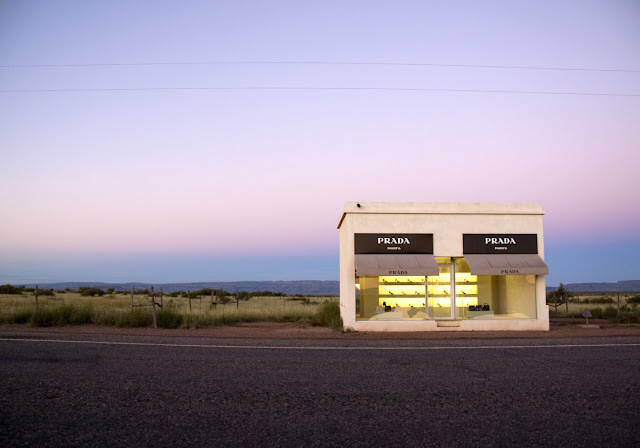 Filled with a 2005 collection of Prada purses and shoes, the store is sealed shut and sits freestanding on the side of the open highway. Using mules, cowboys, models and my imagination I was able to bring this unique series to life.